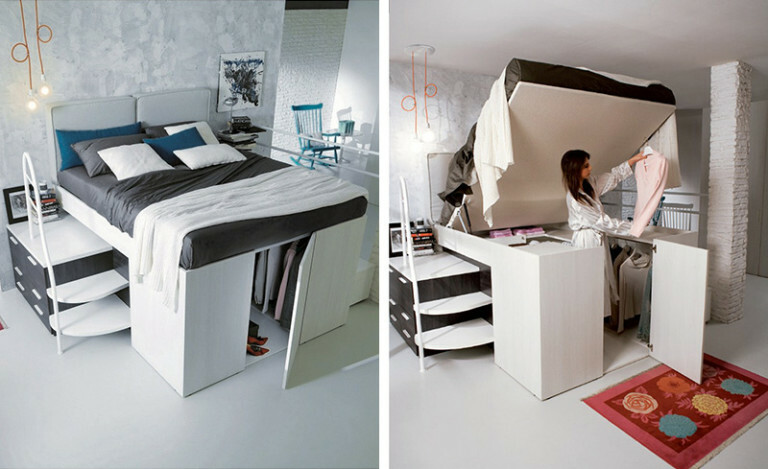 The bed in the small bedroom must beThe functional bed in the small bedroom should be something more than just a place to sleep. Indeed, in many cases we are talking about a room in which it is impossible to put a full wardrobe, chest of drawers or a desk. 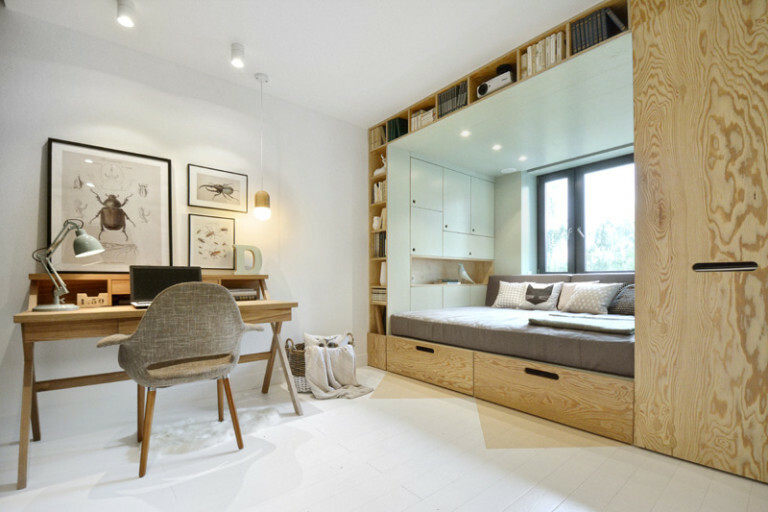 But, as a rule, tenants of small-sized apartments are forced to use the space at their disposal for recreation, work, and reception, however compact it may be. 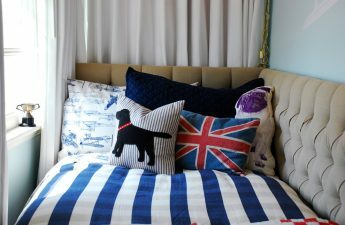 And then the only way to make such a living environment comfortable is to purchase furniture of a special design, and there is something to choose from. Folding, retractable, lifting or simply located on the mezzanine level - all these beds serve the same purpose: saving square meters. Whatever model or configuration you choose, remember: investments in such things are usually significant, but they will surely pay off as soon as possible. So, you are waiting for our selection, in which there is a lot of amazing. 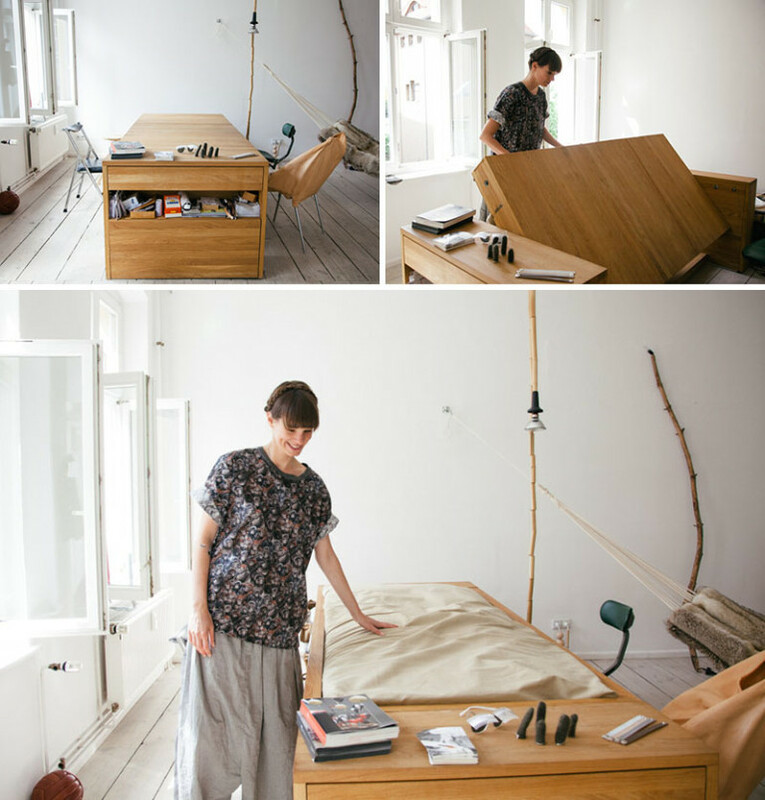 1 This bed turns into a desk, if you raise it. 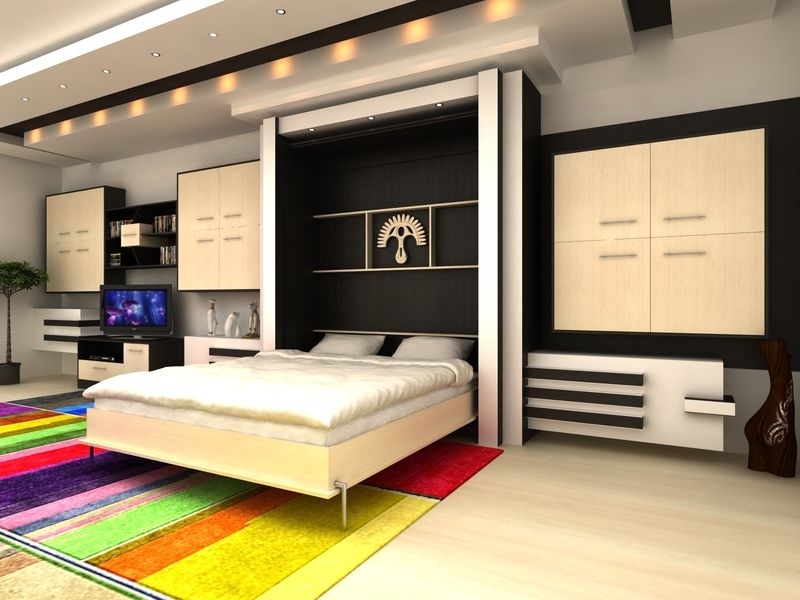 Design: Clei 2 The next photo is a custom built bed that promotes the rational use of space, providing plenty of space for storing various things. Design: INT2 Design: INT2 - photo 2 3 Pretty unusual with a low built-in wardrobe. Design: Dielle 4 This bed is designed specifically for the student dormitory of one of the universities. During the day it is used as a desk. 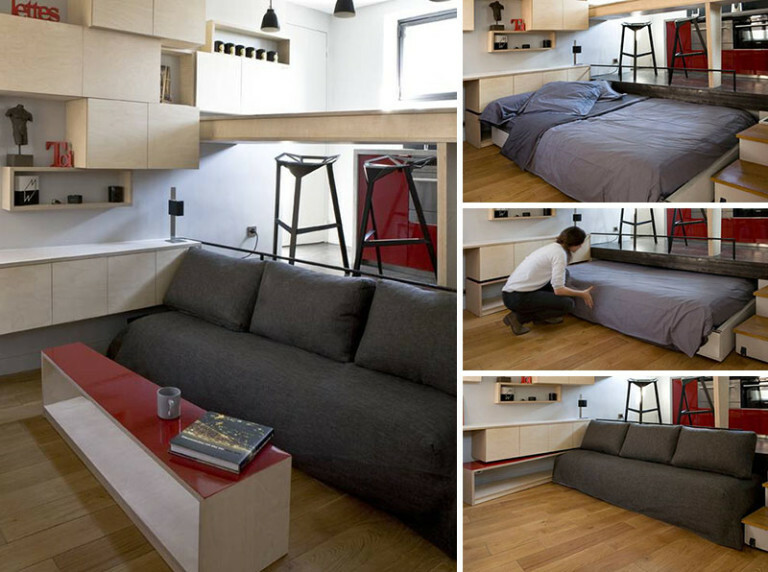 Design: Nano Suites 5 Sofa, the seat of which is also a sleeping bag at the same time, is ideal for studio apartment dwellers. 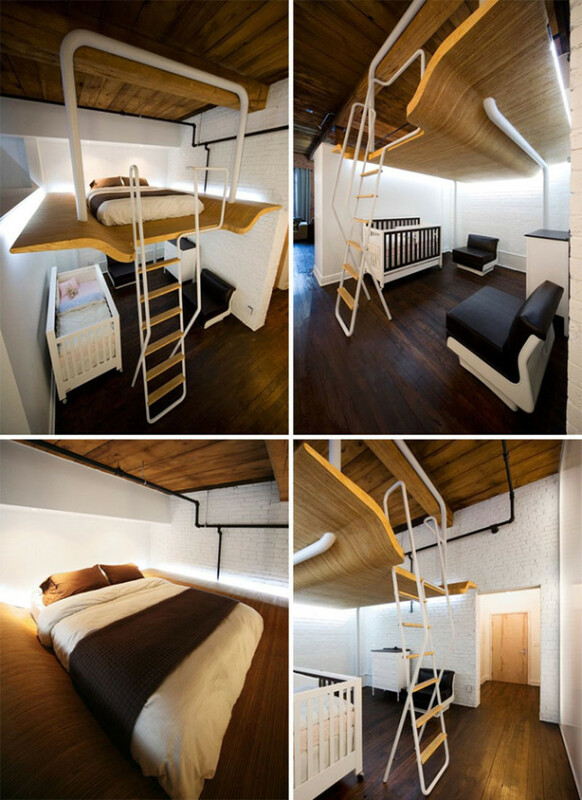 Design: Stephanie Hörnig 6 The bed on the mezzanine provides great opportunities for the efficient use of space. 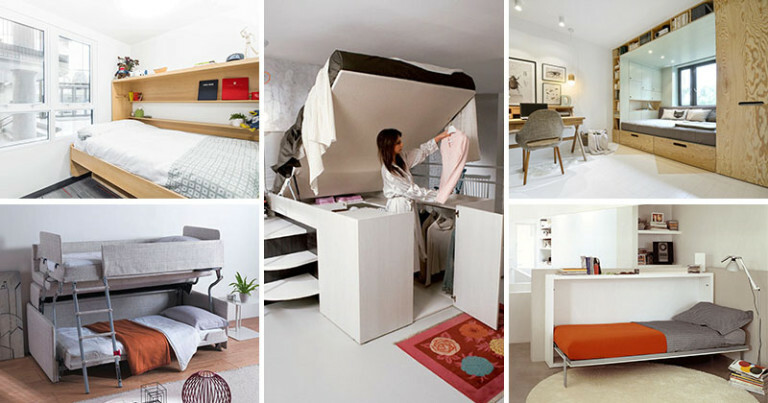 The incredibly stylish design presented in the photo was designed specifically for young parents who needed to find a place to crib their newborn baby. Design: L. McComber 7 This is another bed that rises and slides inside the special compartment. But it has an important advantage over many similar ones: the presence of a folding table attached to the bottom surface of the frame. 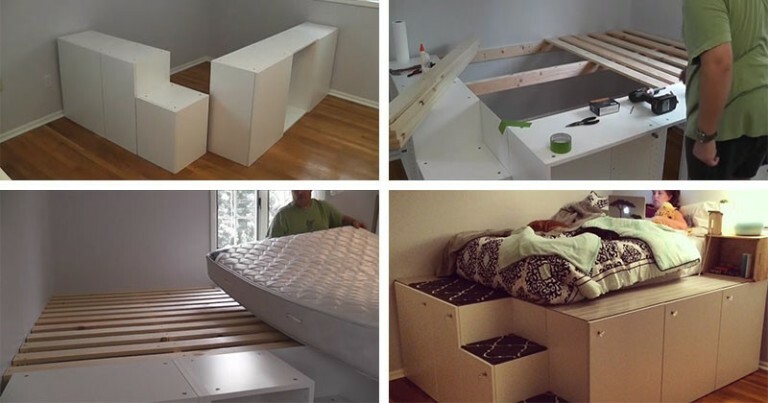 Design: Clei 8 By the way, you yourself can make a platform bed with storage compartments. 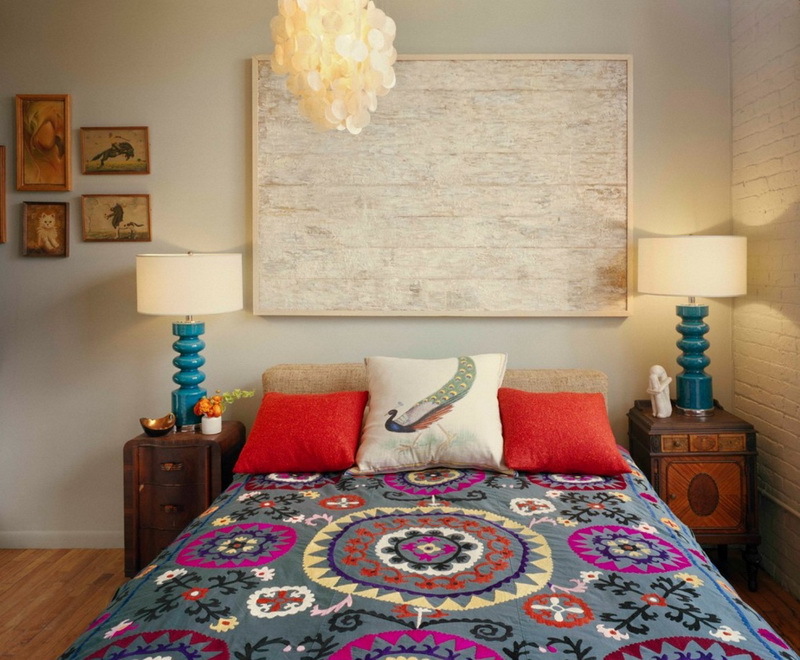 For this you will need boards and several cabinets from. 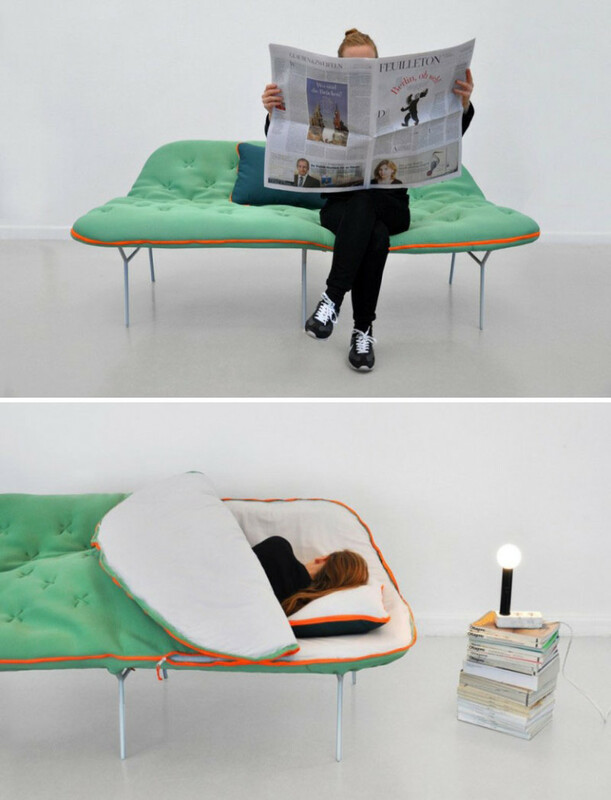 Design: Chris Haider 9 Sofa, which turns into a bed, few people will be surprised. 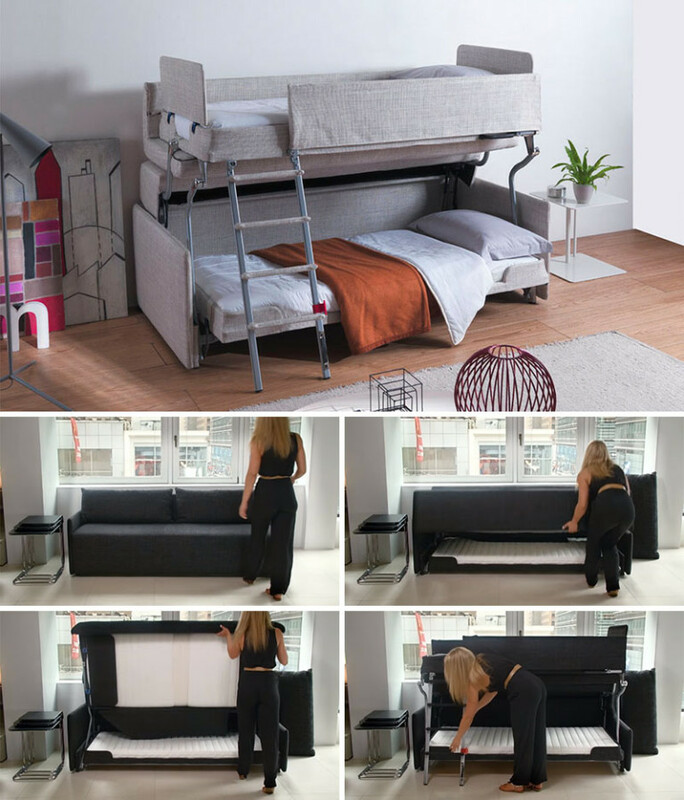 You can not say about the sofa, which turns into a bunk bed. Design: Clei 10 If you have the opportunity to build a complete platform in the apartment, you should definitely use it. Then you will not be difficult to install. Design: Mark Bayarzhon and Julie Nabus 11 The table, which can be both written and dining, rolls over, turning into a completely comfortable bed. 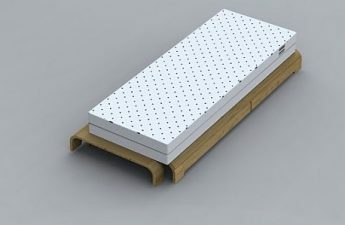 Design: Bless 12 Such a lifting bed requires installation of a rather complicated and very expensive mechanism, but it's worth it. Design: YO! 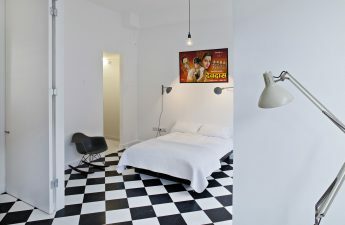 13 Built-in, occupying the entire wall, from floor to ceiling and from corner to corner, does not look cumbersome at all, despite its comfort and functionality. Design: INT2 Have you already chosen the right option for yourself?